Here is a helpful alphabetical list of some of the posts here on The Portal. Remember this is a work in progress and we’ll be adding to our table of contents from time to time. If you don’t find what you’re looking for, don’t forget to try our search on the upper right side of our menu. Quest Journal I – Skull Island. Quest Journal II – Monquista. Quest Journal III – The Stormgate To Valencia. Quest Journal IV – Valencia. Quest Journal V – Cool Ranch – Part I. Quest Journal VI – Journey to Port Regal. 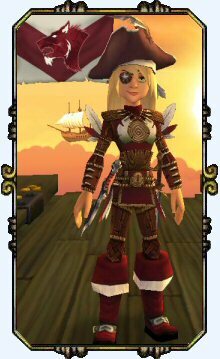 How To Receive and Redeem A Gift – Pirate101 Free Stuff! Housing – How To Set A Transporter. The Pirate Spiral Worlds – What to expect and how to get around. MMO Terminology – What does that mean? The History Of The Captain’s Log – What are they and what’s in them & what’s the Spiral Date? This entry was posted on August 17, 2012, in A-Z Index and tagged 1-day, free, game guides, game hints, gift, give away, giveaway, Kid friendly games, locations, mount, quests, ride, role play, spells, Wizard101, site index, contents, faqs, housing, minions, crafting, artisans, pirate101, pirates.